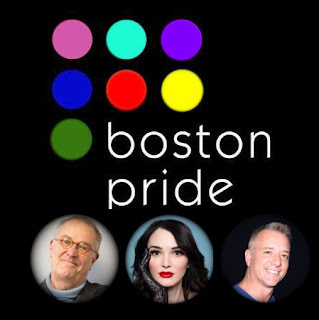 Boston Pride has announced their new theme “Looking Back…Loving Forward” for 2019 Pride season & marshals for the Pride Parade will be Dale Mitchell, Ava Glasscott & Chris Harris. This year’s theme “Looking Back…Loving Forward” represents the recognition of the 50th anniversary of the Stonewall Riots & is meant to encourage the community to reflect back on the many challenges & incredible victories for our LGBTQ community in that time. 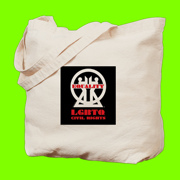 Linda DeMarco, President of Boston Pride stated, “The new theme ‘Looking Back…Loving Forward’ acknowledges the people & Pride groups who have come before us who have helped us strengthen our community. The fight for our rights must continue as well as fighting for our ability to love ourselves & each other freely without fear of hate or persecution.” Boston Pride Marshals include Dale Mitchell founder of the LGBT Aging Project, as Grand Marshal; Ava Glasscott, trans model & former Miss Trans USA Pageant contestant will serve as Marshal & Honorary Marshal is the late Chris Harris, entertainment impresario & longtime supporter of the LGBTQ community who passed away in January. DeMarco concluded, “Boston Pride’s 2019 Parade Marshals represent a diverse spectrum of the LGBTQ community who have all made significant contributions. 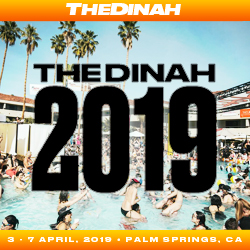 We look forward to having Dale & Ava as marshals in the 2019 parade while we also honor the legacy of Chris Harris & his tremendous impact not just on Pride but on the entire the community.” The 2019 Pride Week kicks off with the annual Flag Raising at City Hall Plaza on Friday, May 31st & continues through Tuesday June 11th. The annual Boston Pride Parade & Festival are on Saturday June 8th.